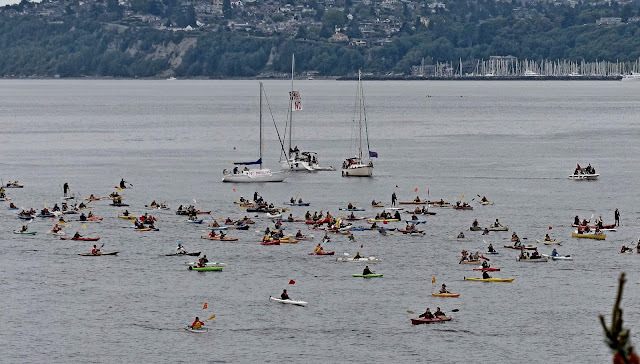 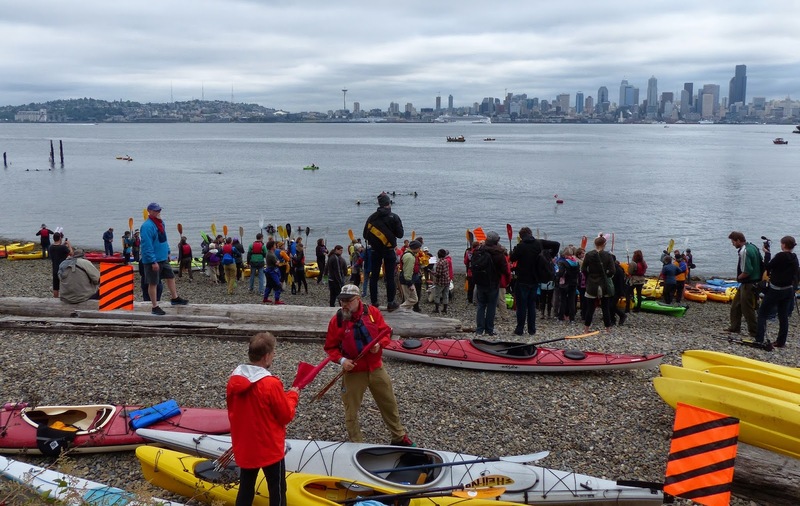 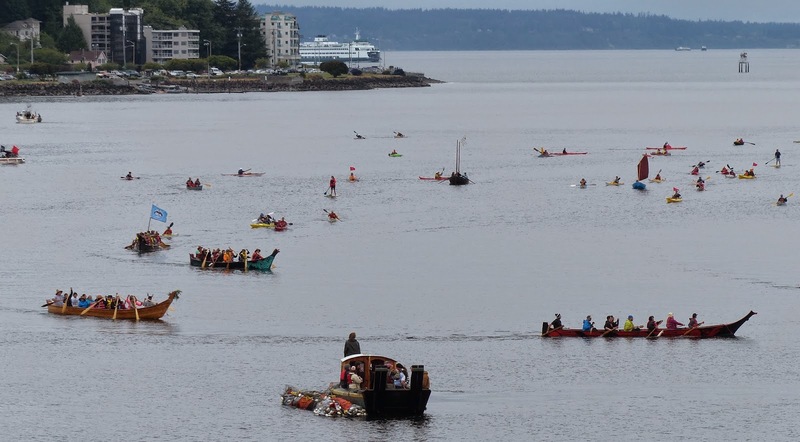 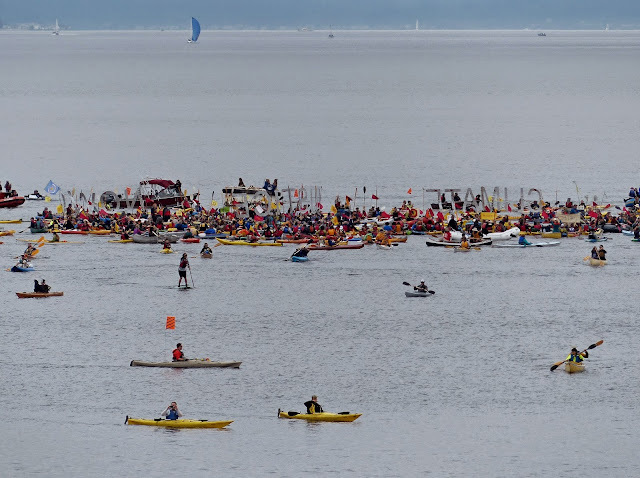 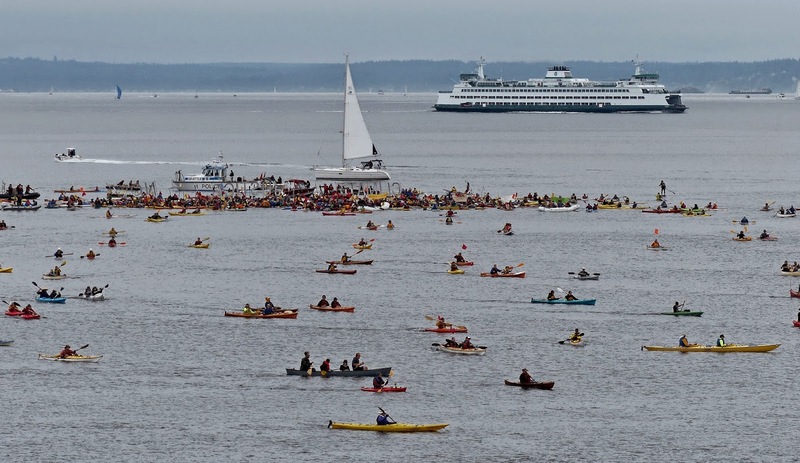 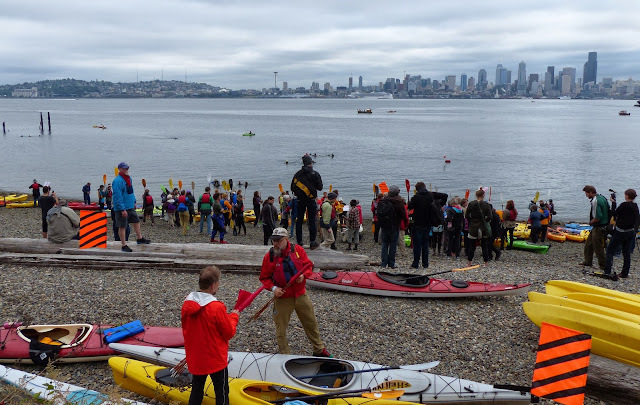 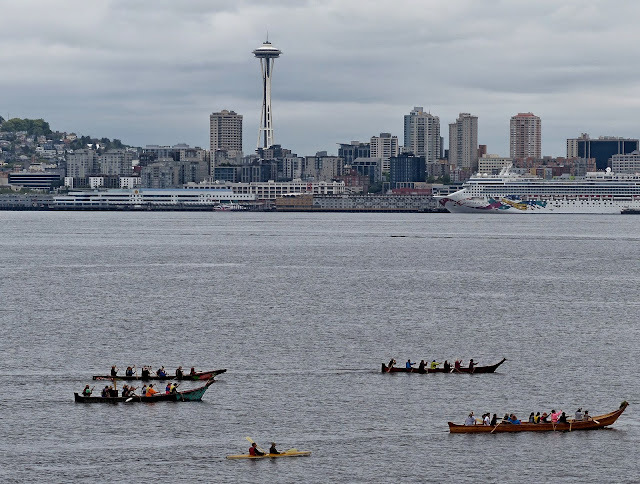 Over 200 kayaks and other watercraft participated in a protest against Shell Oil and the locating of the drilling platform Polar Pioneer in the Port of Seattle. 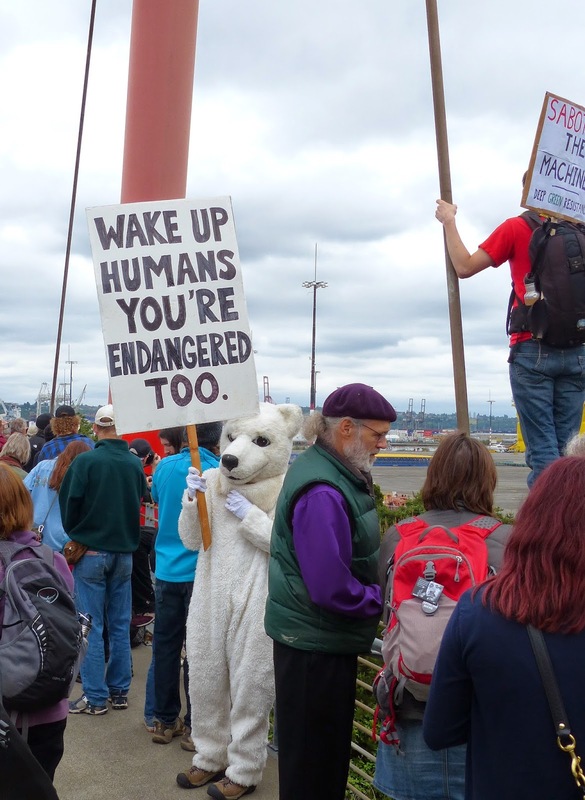 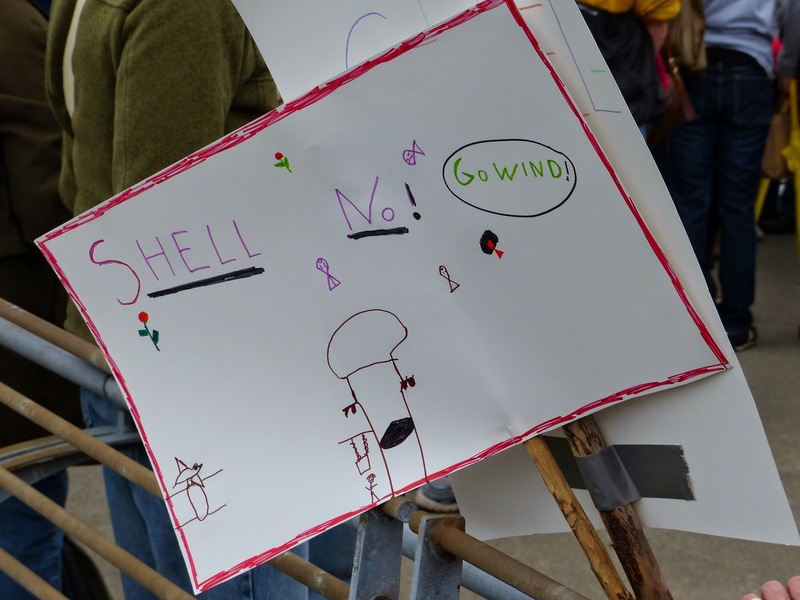 While the City of Seattle refused to issue a permit for the Polar Pioneer the Port of Seattle contracted with Shell Oil to dock the oil rig at the port. 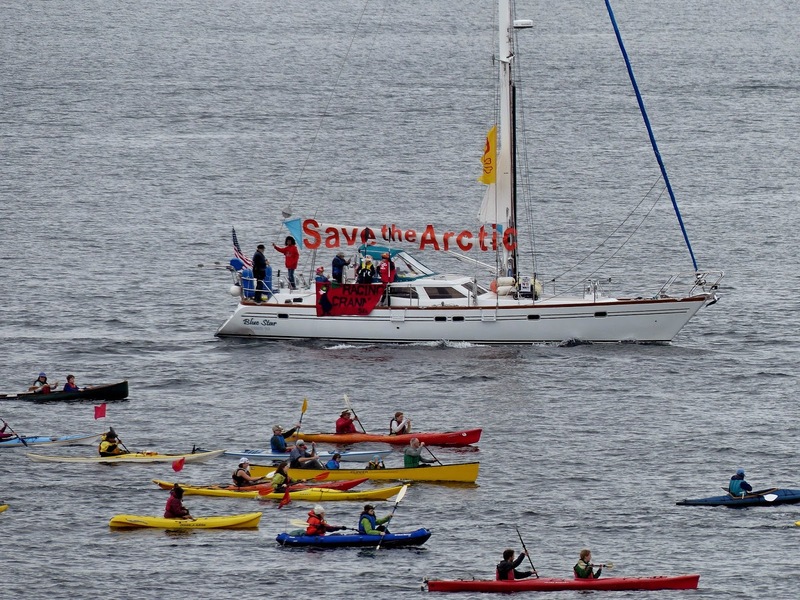 The Polar Pioneer will depart the port for the Arctic for the summer drilling season sometime soon. 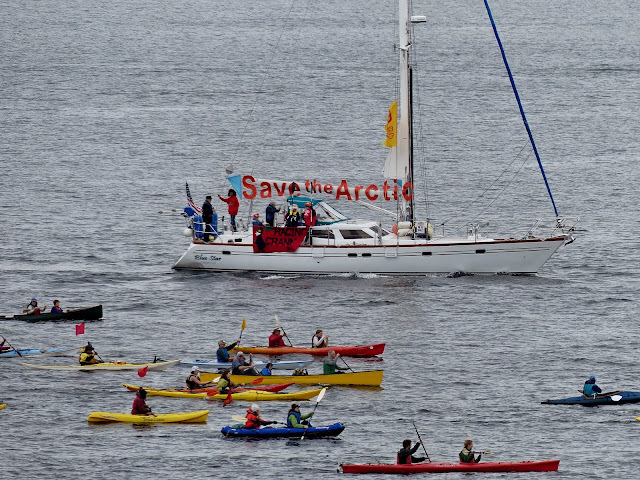 The main protest goal is to stop additional drilling for oil in the Arctic. It would not matter which oil company owned the Polar Pioneer...it's the drilling and its environmental risk for the Arctic that protesters are concerned about. 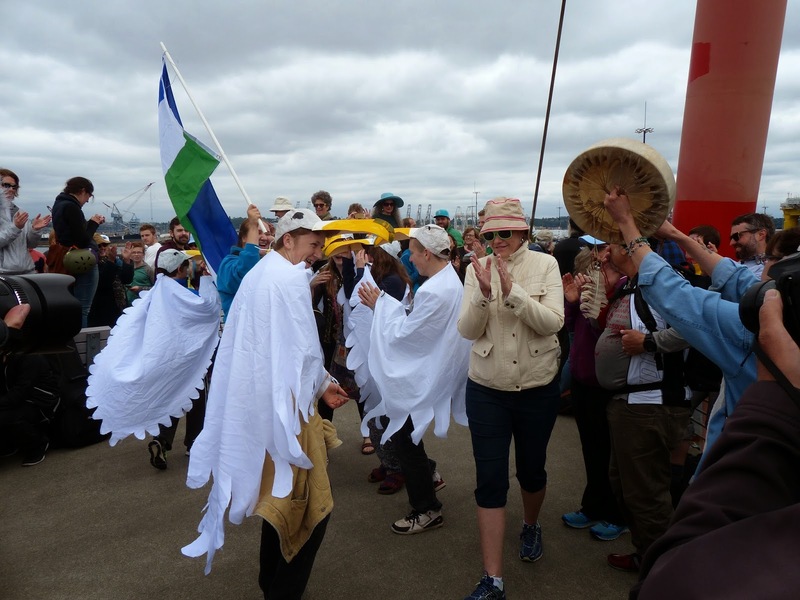 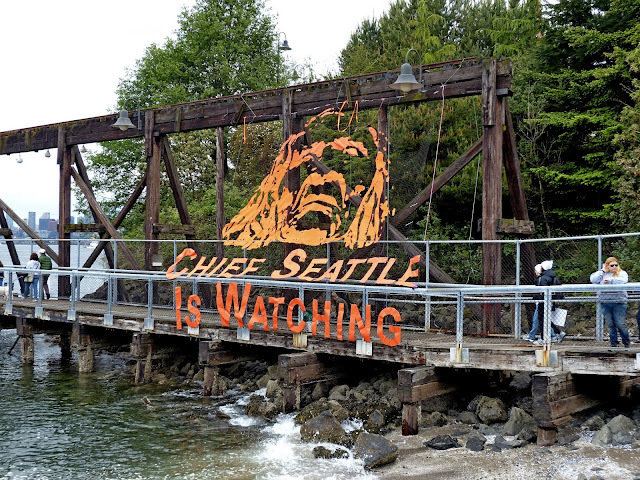 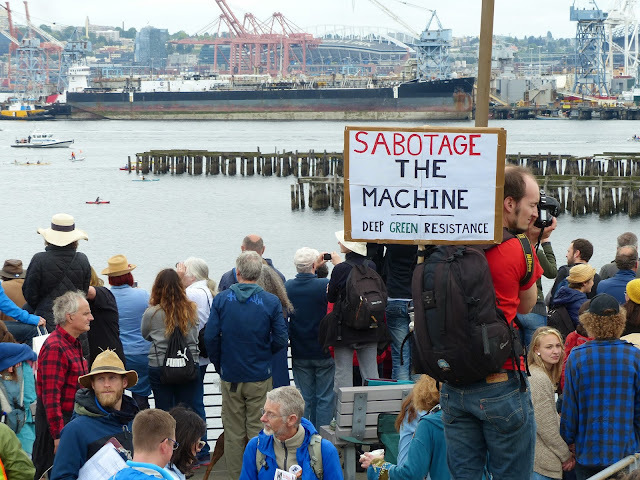 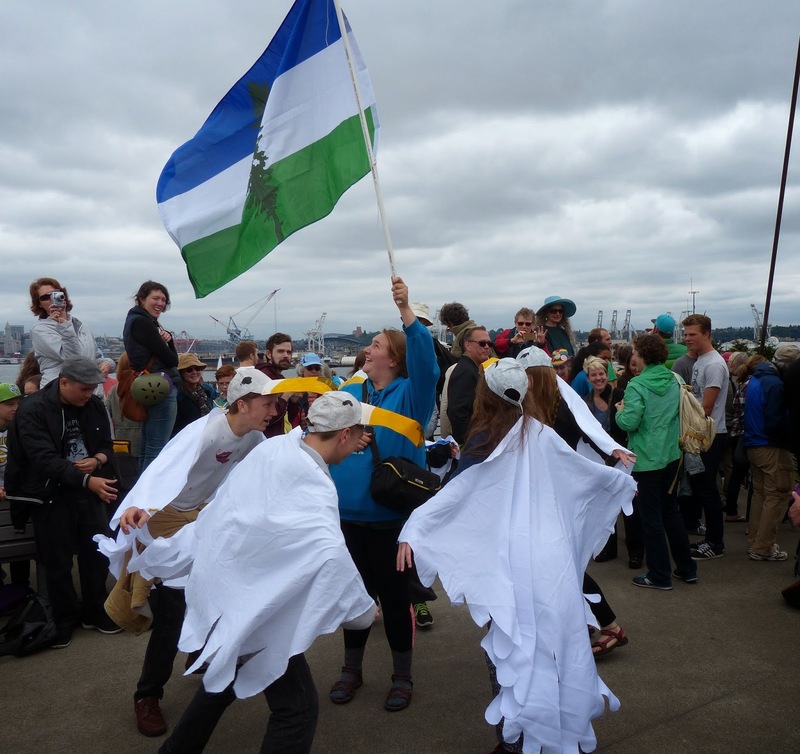 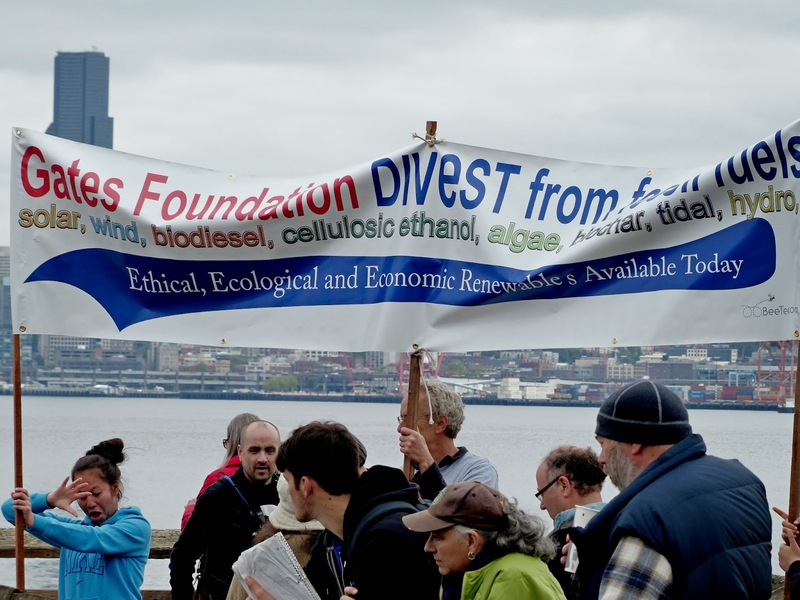 A march on the Port of Seattle by protesters is scheduled for Monday May 18th at the port. 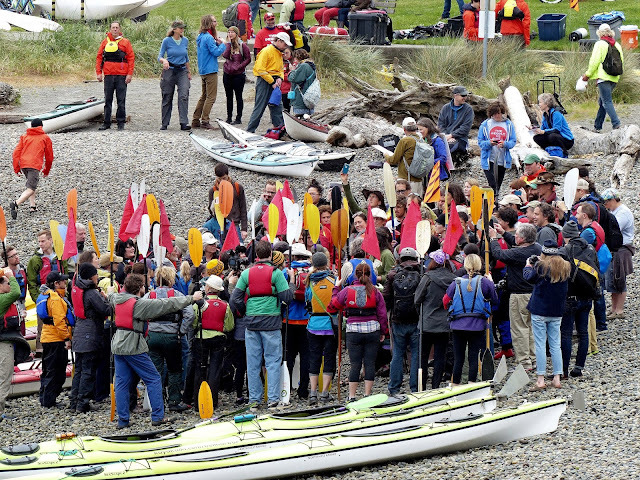 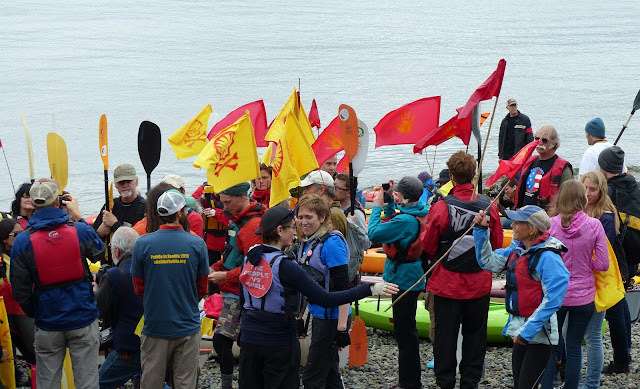 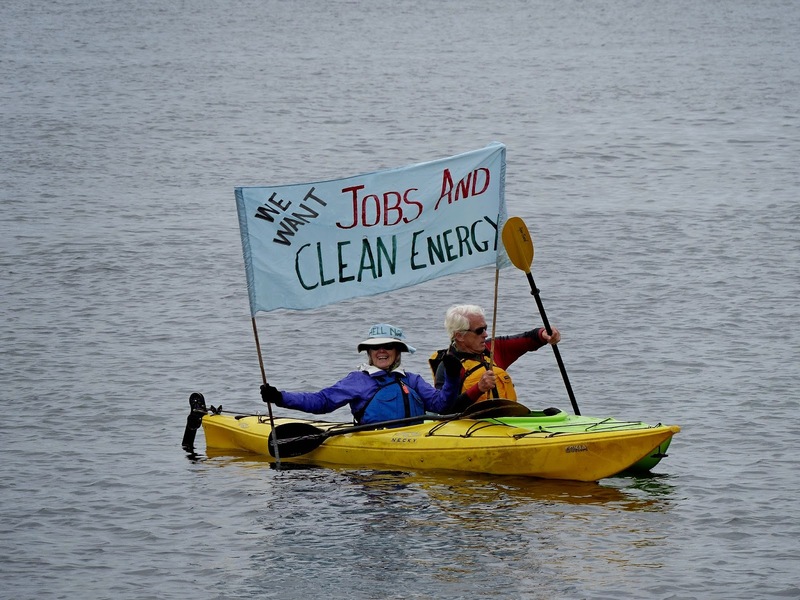 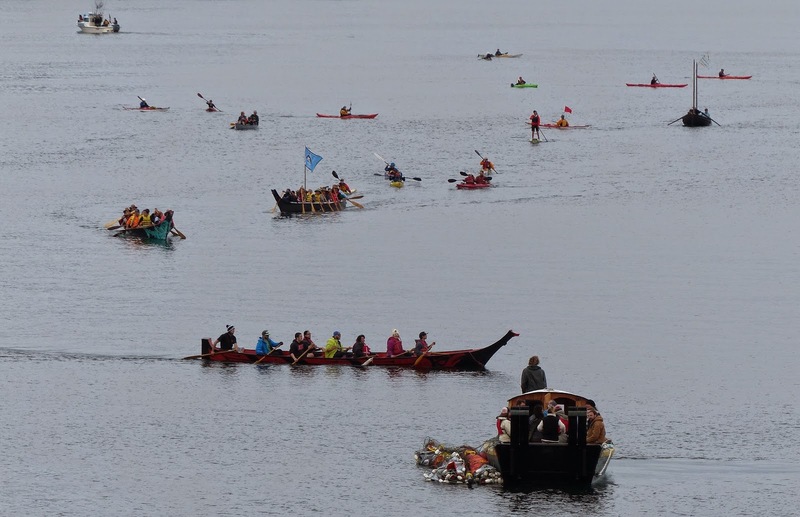 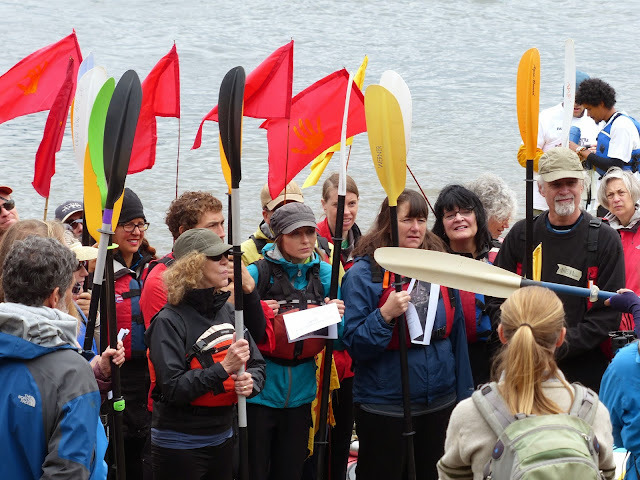 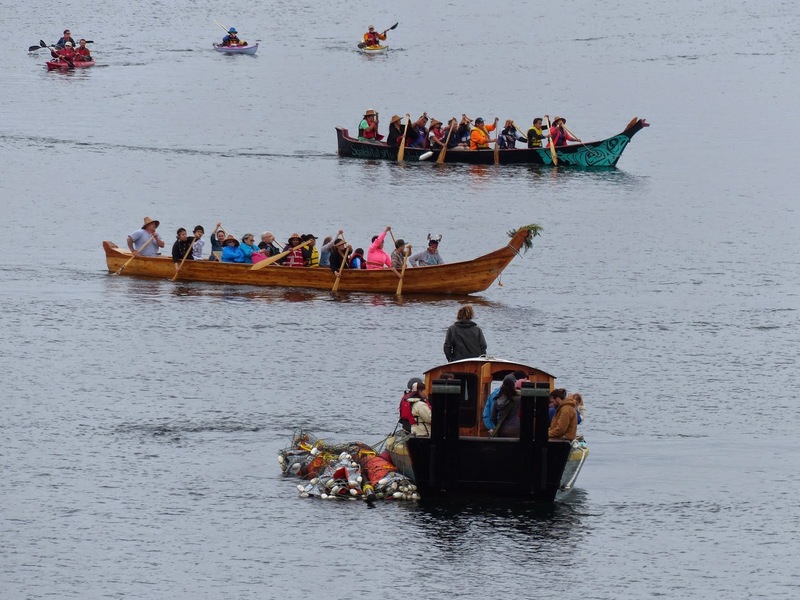 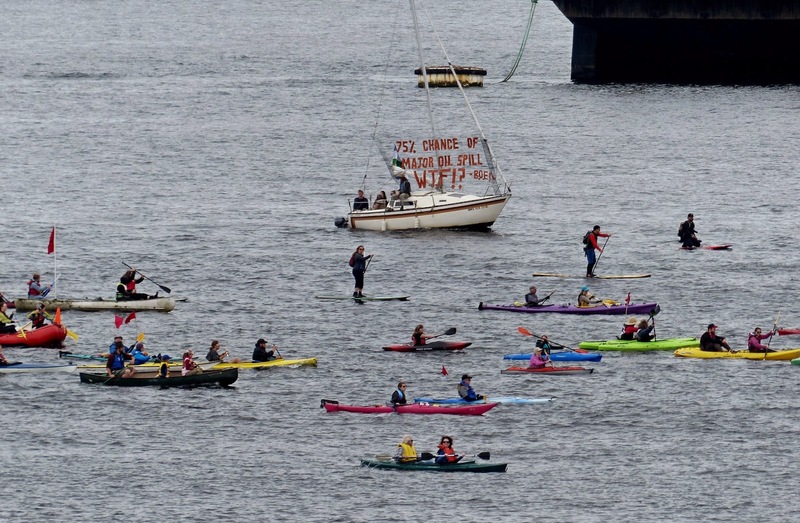 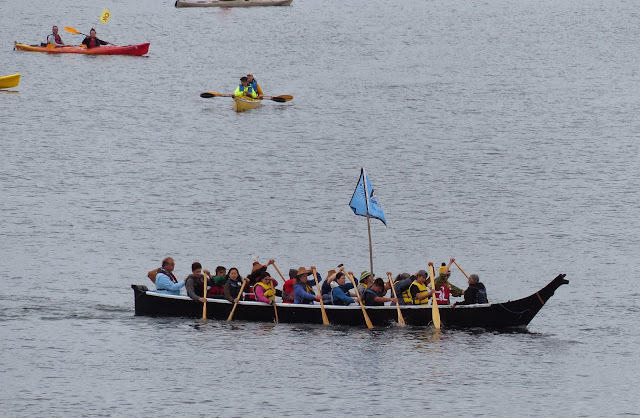 The kayak protest was orderly and peaceful and the march May 18th is designed to be non-violent. 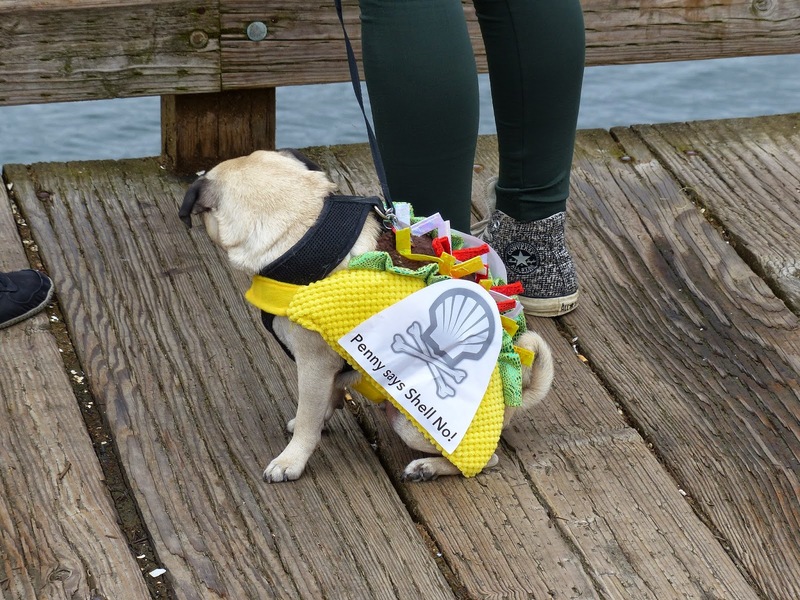 LARGE OIL SPILL OFF SANTA BARBARA CALIFORNIA! MAY 18TH 2015 - And you wonder why these people are protesting drilling in the Arctic.